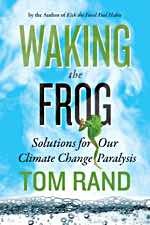 Anyone who follows the science of climate change knows that we are heading for environmental and social turmoil along our current path. 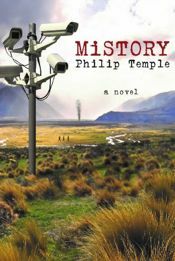 In his new novel MiSTORY author Philip Temple imaginatively pictures what that turmoil might mean decades on from now. New Zealand is in a political mess. Conflict abroad and conflict within. A long-lasting state of emergency, the suspension of elections, a sinister security force exercising surveillance and seeking out the resistance force which has emerged since the SoGreens were banished from political life, decayed infrastructure but an impressive range of digital electronics available to the controlling authorities. All the ingredients for what the chief protagonist, John 21, gradually recognises is “a kind of casual police state, if there can be such a thing, a police state kiwistyle”. Naomi Klein’s new book, This Changes Everything: Capitalism vs. the Climate places the battle against climate change firmly in the context of the struggle for social justice. Fighting climate change means reordering the ways our economies are structured. The pillars of the reigning economic paradigm – privatisation, deregulation and lower taxation paid for by cuts to public spending cannot serve us for this purpose. Public spending, on the scale of a Marshall Plan for the earth, and robust public institutions are required. Dale Jamieson is a philosopher long acquainted with the work of climate scientists. His recently published book was begun 25 years ago, “an avocation that became an obsession”. He used to joke when asked why the book wasn’t appearing that he was waiting to see how the story ended. Then it dawned on him after the failed 2009 Copenhagen conference that there was no ending, and certainly not a happy one. The continuing journey is largely a matter of salvaging what we can from the wreckage. 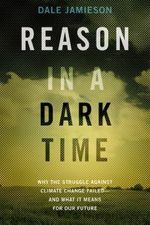 The book’s title sets the stark picture: Reason in a Dark Time. Why the Struggle Against Climate Change Failed – and What it Means for Our Future. Not surprisingly with such a title the book is not a call to action but rather an invitation to understand our failure and to think about what we might learn from it and how best live in the changed world we are creating. Jamieson proposes a variety of reasons for our failure. Scientific ignorance is one. He recalls British scientist and novelist C.P. Snow’s famous “two cultures” claim in 1956 that the British political and cultural elite, educated in the humanities, was quite ignorant and even contemptuous of science. The “two cultures” are alive and well in the United States today, including among the political elites. In particular the weight of peer-reviewed science is often not grasped. Jamieson presents an illuminating explanation of the process of peer review which enables the incremental advance of solid science. It is scientific ignorance which has allowed climate change denial to find a foothold, aided by powerful corporations anxious to prevent or delay action which might affect their profitability.